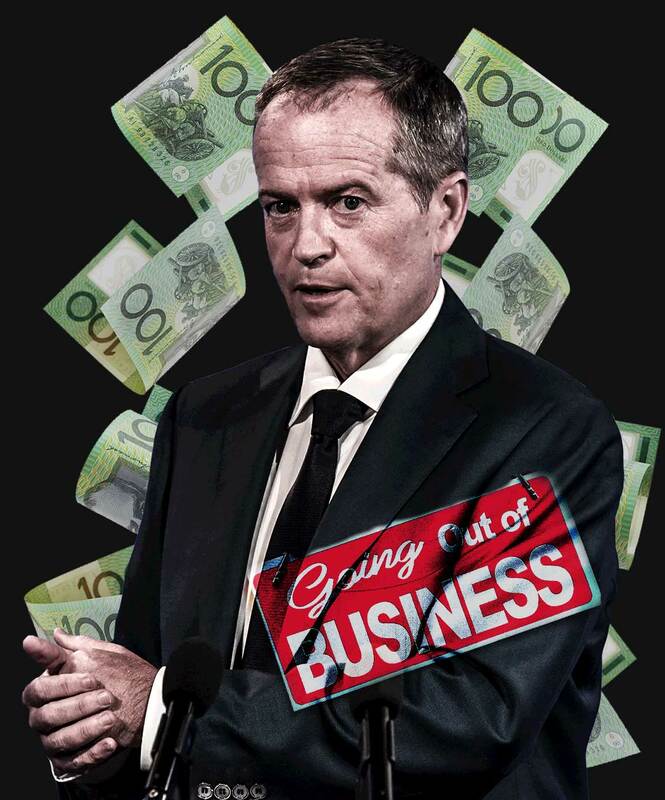 Bill Shorten poses the greatest risk to Australia's economy in a generation. Labor would put at risk Australia's 27 years of consecutive economic growth. If elected, Labor would slug Australians with big new taxes totalling $387 billion over a decade. By abolishing tax refunds on share dividends, Labor would remove franking credits from around: 900,000 individuals; 200,000 self-managed super funds; and 1,800 super funds. This would change the goal posts for people who have worked hard and saved for retirement. It would affect some pensioners and lead to a greater reliance on the Age Pension. Labor would also hit around 1 million workers with four additional taxes on superannuation. Labor wants to end negative gearing as we know it and increase capital gains tax by 50%. This would reduce home values, push up rents and hit 1.3 million Australian investors. With a softer housing market, now is the worst time for Labor's Housing Tax. Labor would increase personal income tax by $230 billion. Under Labor, more people would be pushed into higher tax brackets as incomes rise. Under Labor, within six years, more than 1 million Australians would be paying the top rate. Labor would increase capital gains tax by 50%. This would give Australia one of the highest CGT rates in the world. This would not only affect housing, but other investments, such as shares and other assets. Each year, around 900,000 Australians make a capital gain on an investment. Labor would hit 300,000 small family businesses structured through discretionary trusts with a minimum tax rate of 30%. This would affect small businesses who use trusts for asset protection, estate planning or to manage cash flow. Labor would tax these small businesses at the same rate as large multinational companies. Labor would introduce four new or higher taxes on superannuation. These would grab $34 billion over a decade from around 1 million workers. Labor wants to cut carbon emissions by 45% and replicate South Australian Labor's 50% renewables target. This would mean higher power prices and a less reliable system. Bill Shorten and Labor plan to introduce a Car Tax which would increase the cost of nearly all of Australia’s new cars. Labor’s reckless plan would implement a strict emissions limit on all new vehicle sales. Under Labor’s plan, the cost of almost all new cars in Australia would increase by up to $5,000. Everyday Australians would have less choice over the car they want to drive. ‍‍Will you donate $15 to the Election Fighting Fund and help the Liberal Party stop them?